The 2015 Pantone color of the year is the wonderfully earthy and versatile Marsala. Named for the rich red wine, this bold hue offers high drama while staying warm and inviting. Appearing as a luxurious red-brown, Marsala is glamorous and hearty — but never strident. 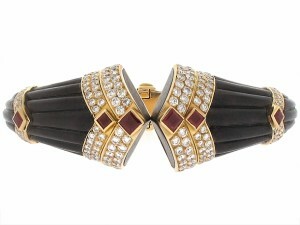 Here are some of our favorite Marsala jewels to add wonderfully wearable warmth to the new year! 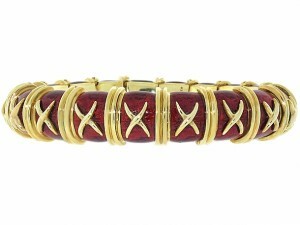 Rich red enamel and buttery yellow gold are a perfect pair in this classic Schlumberger Croissillon bracelet! 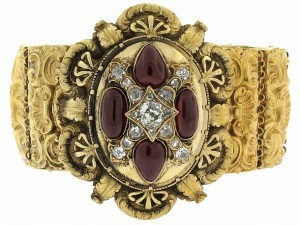 Elaborately rendered, this antique bracelet pairs the perfect pop of Marsala colored garnets with gleaming diamonds. 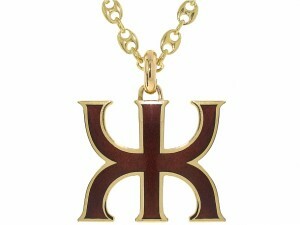 A statement in sumptuous color, this vintage enameled pendant by Gucci is sure to take center stage! 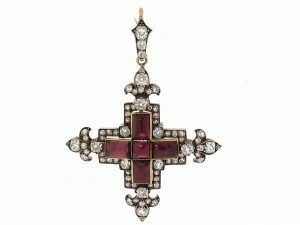 As beautifully aged as a truly fine wine, this antique diamond cross by Garrard is a luxurious blend of Marsala toned almandine garnets and gleaming old cut diamonds. The earthy color of Marsala hued rubies is a perfect pairing with fluted wood – a naturalistic design by classic French brand Boucheron.